After the switch in Snow Leopard I never could get used to read file sizes in Finder with base-10. This application patches the Foundation framework in order to get back base-2 units. I can now again compare disk space and file sizes with other operating systems or output from shell tools. I recently referred to the app in this thread. If you own both a Mac and an iPhone or iPod, this application is a must-have. Podworks works around iTunes to allow transfer of media to/from Mac and iOS devices. iMote is a simple, elegant, and lightweight program for controlling iTunes from just about any application. Play/pause, change tracks, select playlists, adjust volume, rate tracks, and more using fully customizable hot-keys or a universal menu bar item. 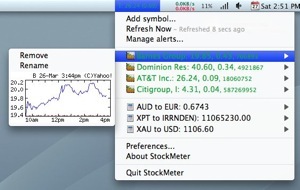 iMote includes a beautiful iPod-esque floating window, indicating current track information, and Growl support if you want an even more streamlined experience with your other Growl-enabled applications. Written using Cocoa, iMote is lean and mean, consuming minimal system memory and CPU time. iMote is the original iTunes controller. A great utility to make a web search (Google, Wikipedia, any other search engine) just a keystroke away regardless of what application I'm in. One of the few RSS readers that doesn't try to imitate an e-mail application, News Anchor converts inanimate text in news feeds into lively television-like news broadcasts. 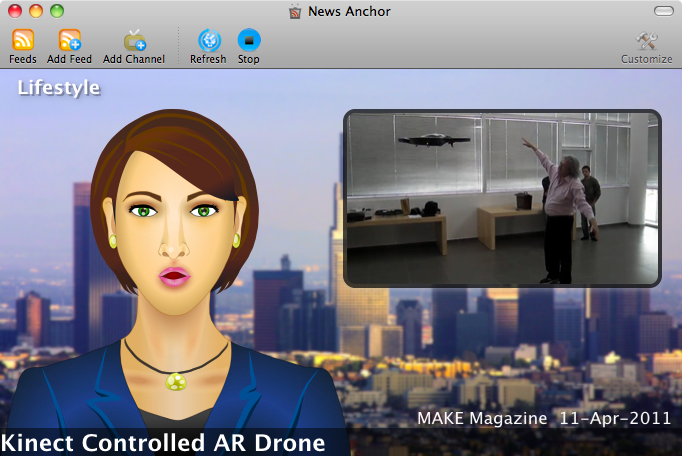 With News Anchor you can now "read" news feeds while eating or doing other things. I use this all the time and love it! App Bar displays a quick list of all your applications. This is the quickest way possible to find and open any application launched from your Status Bar or Dock. All apps are listed alphabetical and the scroll list is well laid out and always just a click away. Livetype is an awesome title generator that came with FCE. It does have a rather steep learning curve if you aren't used to keyframing, but it generates professional-looking titles at a great price. JiTouch is similar to BetterTouchTool, but with many, many more options. The one thing it doesn't have is Windows 7 snapping, so keep BetterTouchTool around for that. I would highly recommend this application, though it's a paid application. Receive notifications via Growl. 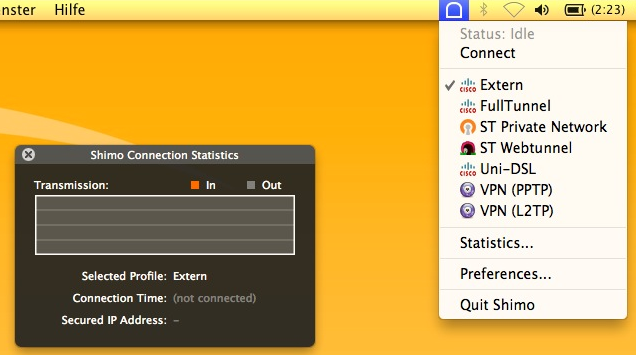 Assign network locations and wireless networks to profiles. Scrawl is nifty little note taking app for the Mac that I made with iCloud support. Uses iCloud to sync between Mac and iOS. Couldn't do my homework without it. From JetBrains, the makers of IntelliJ. Has a lot more refactoring support than XCode and a more powerful editor. Especially useful to anyone coming to iOS development from the Java world. Allow notification plugin for Mail.app. In ML you have notification center, but with Herald you also get the full message body which I really like. Very promising successor of The Hit List. Hub List tries to strike a balance between simplicity and customization. If you’ve every managed a software project then you’ve probably spent more time then you care to admit inside an ugly bug tracking application that a bunch of developers convinced you would make them more productive. You probably use another app to manage your business projects and then something else to help you remember all those pesky personal todos like getting your mom a card for mother’s day. Rather than try to replace all those tools Hub List strives to provide real-time two-way integration with all of them so you can be more productive using the tools you already have. SafeWallet is a very useful and complete password manager, which allows you to safely keep you passwords, credit card pins, notes, and many more stored on your Mac. It also provides functionality for sharing your wallet with the iOS App (SafeWallet for iPhone). In this way your wallet is always with you and always synced. This application can trigger a wide range on actions based on different events, its mainly use being to start/stop application based on your context. For example when you bring your laptop to work it can start Outlook. You can detect that you are at work based on the network IP, presence of a wireless network, or many other options. One of best cleaning utility. CCleaner is the no. 1 cleaning utility for Windows PC. In Mac it does the same function, cleaning temp files, cookies, cache etc. for making more space available. The tools section provides utilities to uninstall an application, change startup option, erase free space and manage permissions. It can also scan all the devices present on your network, and intercept the traffic of any of them, perfect to see what your iPhone or tablet is sending over the network. After last year Sparrow acquisition from Google and development freeze, Airmail is new, actively developed mail client. It does not hide it's Sparrow roots, but exceeds it and new features are constantly added. Best text editor ever...Supports VIM bindings plus has org-mode and can run a shell, edit directories, view images, etc. Make sure to use the built-in package manager to load add-ons. Solarized-dark is an excellent color scheme. I use it as my daily productivity booster since it moves all files I haven't touched within the last week from my Desktop into my archive. It has many more features you may find interesting. Here is a trailer. There's a software version as well as the hardware box that creates a cloud server. 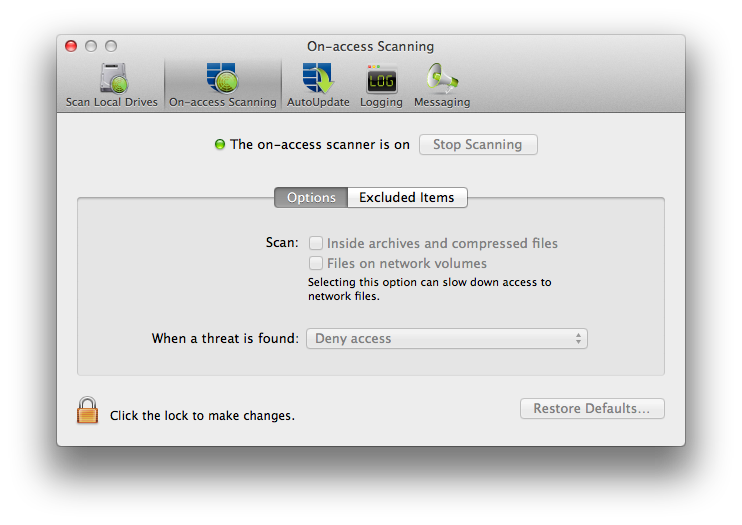 The software version allows me to set a folder or drive on my Mac and link to it so I can let others access. I know there are other ways to do this, but for me the $20 ($30 now, I think) was well spent as the software is simple and no glitches. If you have a good friend and you both agree to leave your computers running, you can use the other's extra drive to store your backup with no monthly fee, just install a decent size drive at the friend's house. Very powerful and free and open source image editor, inspired by PhotoShop. Has layers, RGB and indexed modes, and more tools and filters than you can shake a stick at. Since version 2.8 Gimp is OS X native. "Often you don't need the exact time in hours, minutes and seconds. A more human readable style like "five past ten" makes more sense. For that, you can now use FuzzyClock. FuzzyClock is a menubar clock which displays the current time in a "fuzzy" style." I use the handwriting font. (Alfred, Cloudapp and Growl have been said).